In 1985, the percent of computer science bachelor degree recipients that were women was 37%. In 2016, the comparable number is 18%, a year when 57% of all bachelor’s degree recipients were women. These are some of the more striking statistics from the recently published National Center for Women & Information Technology “by the numbers” infographic, underlining the chasm between male and female participation in computer science education. In addition, recent research published by Stanford University showed that women are invariably made to feel unwelcome before they even apply for tech jobs. Codio is a strong advocate for diversity and equity of access to computer science education. Throughout our work in higher education and K12 it’s impossible not to notice the sharp drop off in female participation in computer science once the subject moves from being a mandatory component of the curriculum to being an elective. 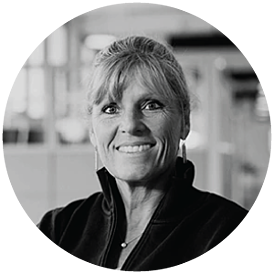 To get closer to the underlying issues, Codio recently spent time with Gwen Britton, Senior Executive Director for STEM Education at Southern New Hampshire University (SNHU). Gwen is a strong advocate, positive change agent and leader in the women in tech movement. How do you characterize the landscape of issues surrounding the women in tech movement? Why does there seem to be so much drop out when the subject becomes an elective option in middle school or high school? So how do you attract female participation? Has the CS community done a poor job of marketing the subject to students? What initiatives would you highlight as having the potential to make a difference? Should there be some form of positive discrimination to boost female participation? How is SNHU now addressing these issues? What more can be done? In terms of policy or funding? What about the role of industry? Who are your own personal role models? CEO & Co-founder. Phillip is concerned with Codio creating a teaching and learning experience that users will find indispensable such that user advocacy drives exponential growth for the company, and in doing so, sees Codio make a measurable positive impact on teacher and learner outcomes from computer science education globally.